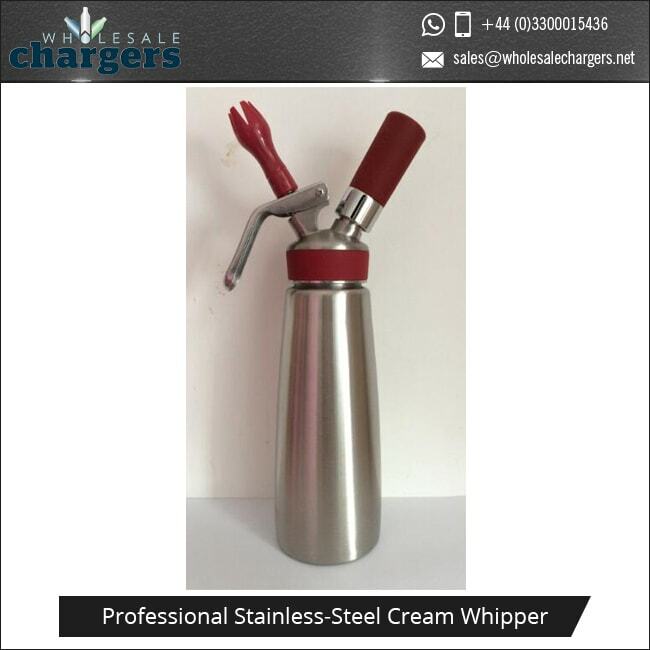 A welcomed addition to any commercial or residential kitchen environment, this high performance, professional whipped cream dispenser is fully compliant with all catering kitchen requirements. 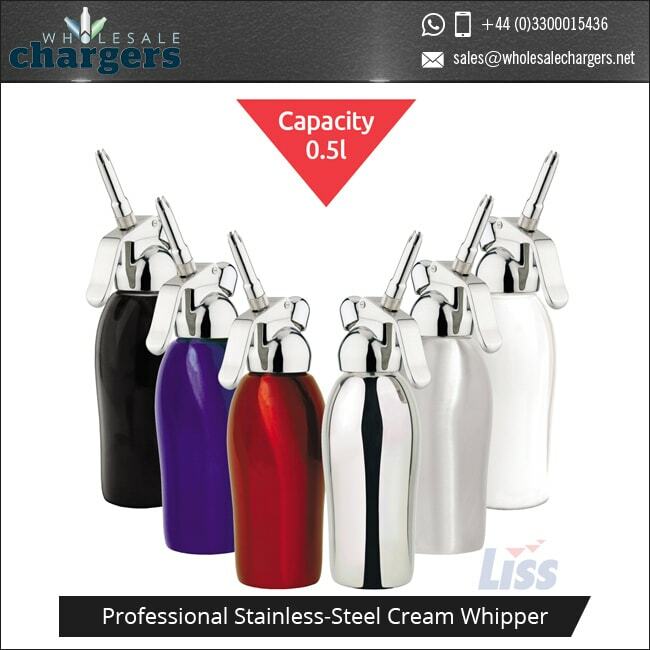 Perfect for restaurants, cafes and even home kitchens, this dispenser utilises 8G Nitrous Oxide (N20) gas cartridges, in order to perform a number of whipping and propelling tasks quickly and effectively in the kitchen. 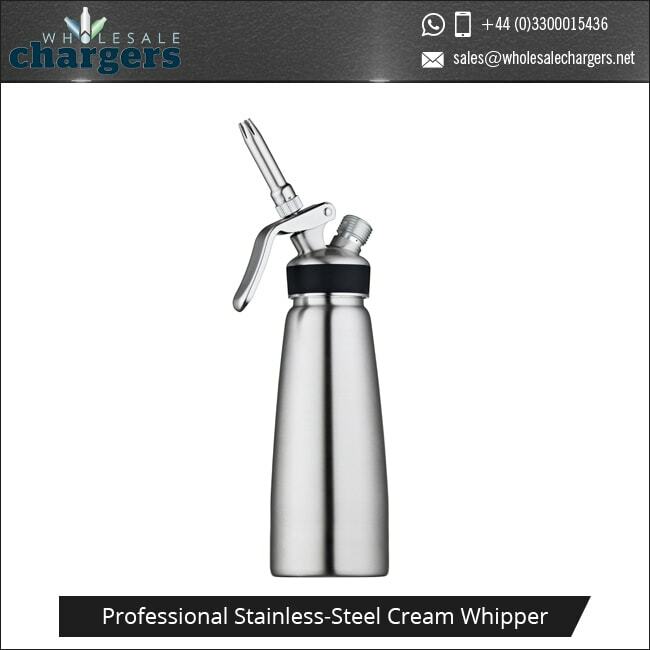 Compatible with all major brands of N20 chargers such as Mosa, Kayser, Liss, iSi, Gastro, Whip-It and Best Whip, this whipped cream dispenser is also perfectly equipped to prolong the life of whipped cream, keeping it fresher for longer. 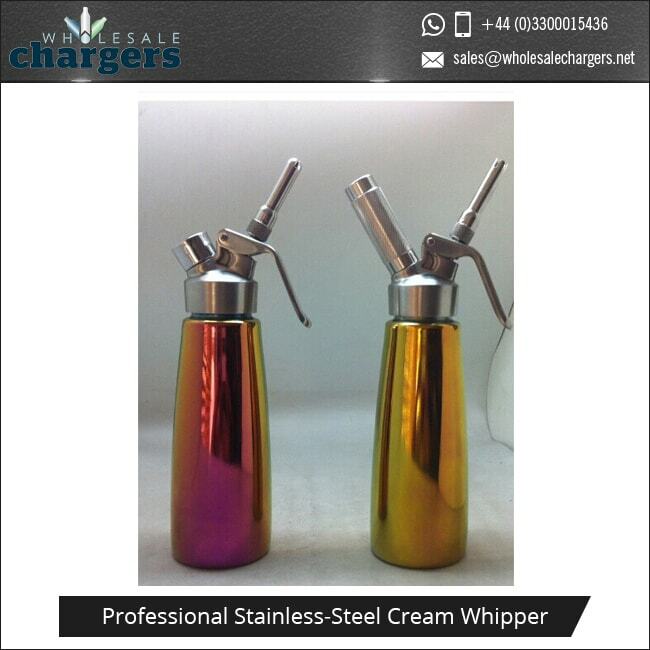 This is because N20 acts as a natural antibiotic, meaning cream can be stored safely inside of the whipper for up to 10 days! 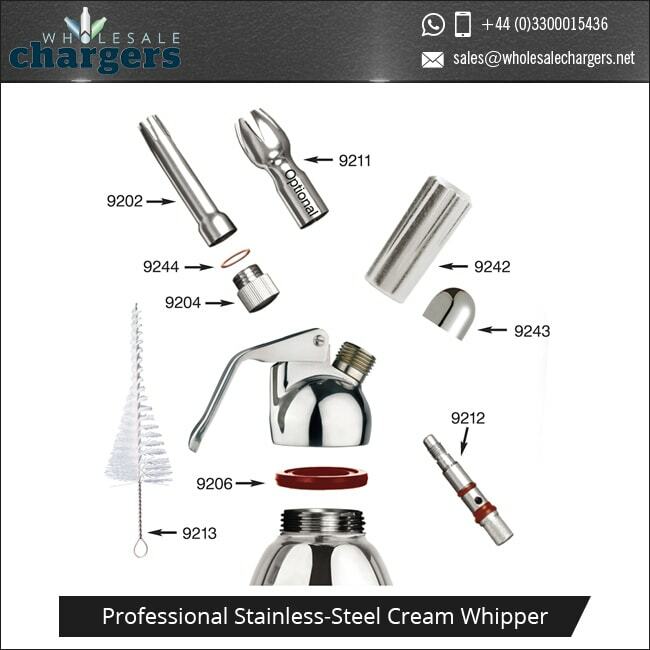 Ideal for making delicious whipped cream quickly and efficiently in high-pressure kitchen environments, this whipped cream dispenser is also highly versatile as it can also be used to whip up a variety of different sauces, mousses and hot or cold espumas. 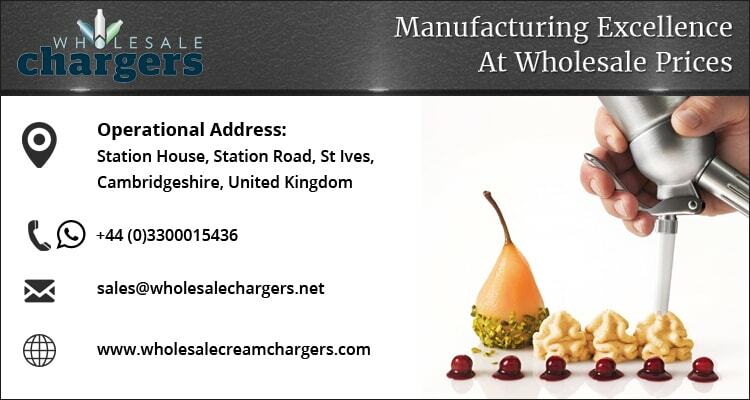 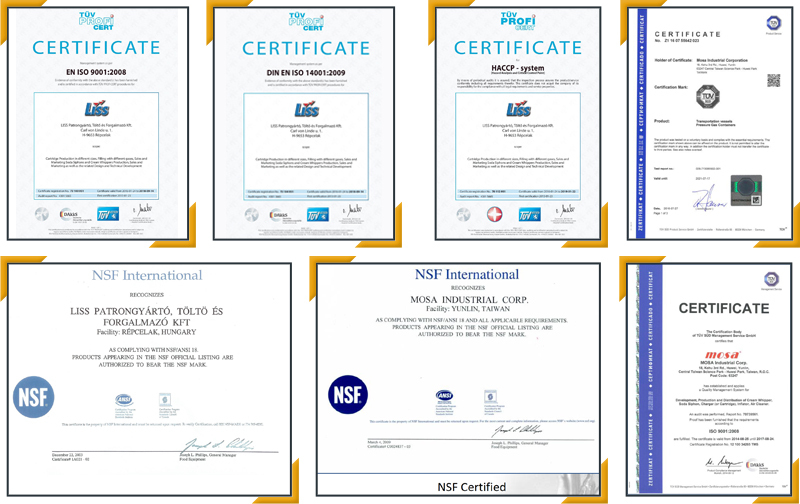 We can deliver all N2O Nitrous Oxide Gas Cream Chargers direct to your address at home, clubs, bars, restaurants and venues, and we can even brand them up to reflect your brand identity. 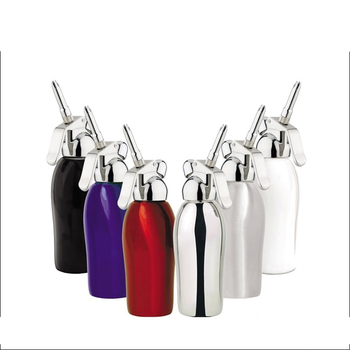 Resistant to hot and cold temperatures.